Find your perfect family home in the Sunset Hills real estate listings below! Nestled along the Meramec River southwest of St. Louis, this intimate, sought-after city is filled with homes for every age. While it was officially incorporated in the late 1950s, major development only began in the last 20 years. Today, Sunset Hills offers a great variety of contemporary homes in master-planned communities, with easy access to your favorite services and amenities — including top-rated schools! Most of the Sunset Hills homes for sale are tucked away in quiet, tree-lined neighborhoods with decorative landscaping and a generous amount of space between each property. In fact, this area has one of the lowest population densities in the county and over 70 acres of green space, including parks and golf courses. You can even find homes right on the edge of the fairways in Tapawingo National Golf Club, the perfect choice for those with a golf-centered lifestyle. Sunset Hills is best known for its abundance of large single-family houses that could pass for small mansions. Long private driveways, multi-car garages, backyard pools, manicured landscaping, are all common elements of these exceptional homes. Inside, you can anticipate high coffered ceilings, grand entrance ways, custom kitchens, spa-inspired bathrooms, and very spacious open-concept floorplans. With easy access to your favorite things to do, upscale homes, and plenty of space to spread your wings, these are just some of the reasons why homes in Sunset Hills are so popular among discerning buyers. Whether you’re looking for a generous move-up home or a full-service active adult community with everything you could want in your golden years, Sunset Hills is the place for you! Homes in Sunset Hills are just 20 minutes from downtown St. Louis, and while it’s a popular place for well-to-do families, it’s also home to a growing number of great retirement communities. At the heart of Sunset Hills is a full-service community center with a pool, fitness center, and gathering spaces for rent. Check out the many programs offered by the center to unwind with an afternoon yoga class or enjoy a guided hike with other outdoor enthusiasts. Sunset Hills falls directly within two top-rated school districts: Lindbergh and Parkway. The closest schools include Truman Middle School, Thomas Jefferson, and South County Technical Institute for high school students with a passion for trades and technology. Laumeier Sculpture Park is one of the first and biggest dedicated sculpture parks in the country. Laumeier is an internationally recognized, nonprofit disciplines organization that is licensed by the American Alliance of Museums and functions in partnership with St. Louis County Parks. Laumeier presents 60 works of large-scale outdoor sculpture in a 105-acre park found in the heart of St. Louis County. Free and open daily, Laumeier will serve 300,000 visitors of all ages each year through sculpture conservation, education and learning programs, nonpermanent exhibitions and public events. The Sunset Hills Community Center has all the equipment and amenities to meet your overall health and fitness needs. Whether you have specific workout goals you’re trying to reach or are just seeking to stay active, there is something here for everyone! Try over 20 pieces of cardio equipment including treadmills, bikes, ellipticals, striders, and E-Spinner! Presently there are full-body circuits and two sections of free weight load ranging from light dumbbells and kettlebells to high-quality dumbbells. The Community Center also offers a gym and meeting rooms that can be utilized and rented by residents and non-residents. Want to learn more about Sunset Hills homes for sale? Get in touch with the experts at The Wallner Team today! Send them a message or give them a call at 314.810.7653. 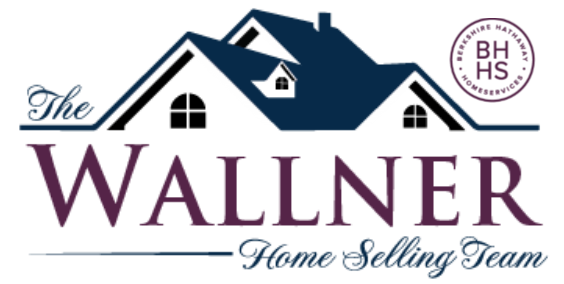 Whether you’re buying or selling your home in Sunset Hills, The Wallner Team can help you navigate the Sunset Hills real estate market.